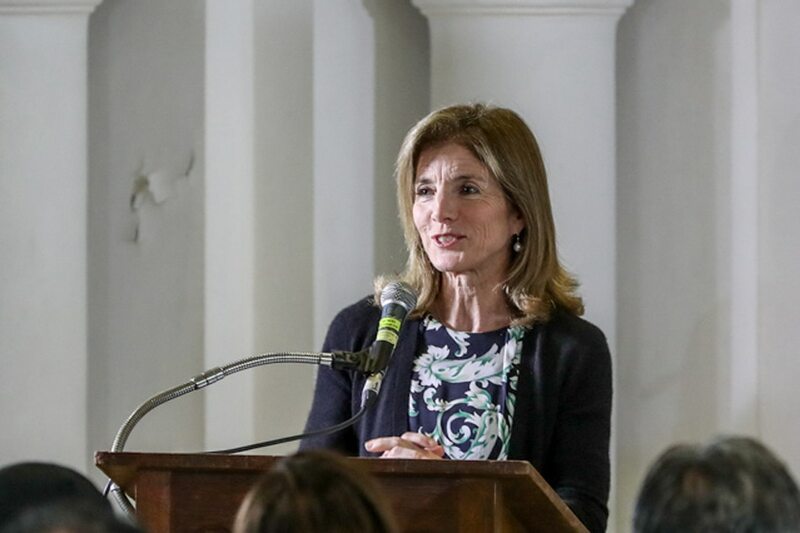 MANILA- Former United States Ambassador to Japan Caroline Kennedy on Wednesday encouraged students to write poems as a means to bridge differences. Kennedy, the daughter of late US president John F. Kennedy, met with junior high school students of St. Scholastica's College in Manila for an international poetry exchange program that she supports. "Poetry turns out to be a wonderful way of bridging our differences, learning about each other, sharing our innermost thoughts and feelings and dreams for the future," she said in a speech. During her time as ambassador to Japan, Kennedy supported similar poetry exchange programs where participants link up with students overseas and recite poetry via teleconference. She said working with students with Japan was one of the most rewarding parts of her work and that she wanted to meet Filipino students during her visit here. She also expressed hope that the bonds between the Philippines and the United States would grow stronger. "Our countries have been connected for centuries and... we hope that those bonds of friendship will grow stronger in the future," she said. Kennedy engaged the students in an off-the-record conversation and gave them a signed copy of her book "Poems to Learn by Heart."